The agenda for the next PC meeting is now available. 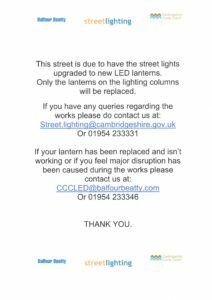 Information relevant to residents of Glebe Close. 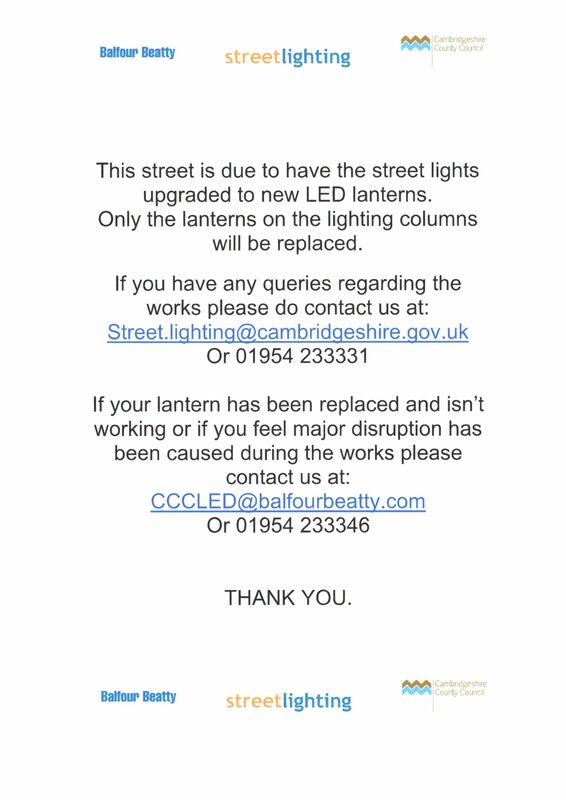 Replacement street lights will be installed on 21st May. This should be done within the day and won’t impact you too much. Any problems or queries please contact the number on the poster. 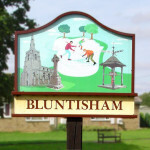 1st – 15th May now available. The next Hall Management Meeting is to be held on Monday 23rd April. The meeting starts at 8pm and all are welcome to attend. Click here to access the full agenda. 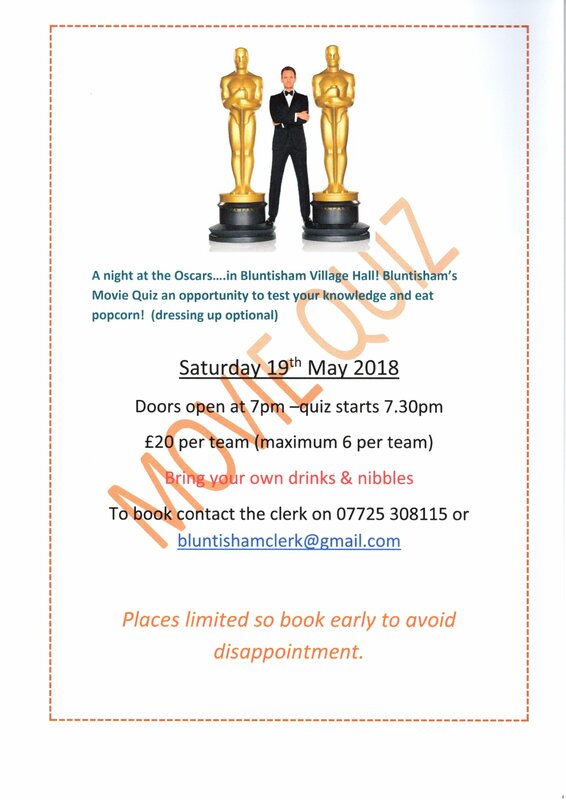 A night at the Oscars without having to leave the village…………all for £20 for 6 of you. How can you refuse….oh and a movie quiz thrown in as well. For more details contact the clerk. Teams are selling quickly so please book early to avoid disappointment. The latest schedule of works for period 16 – 30 April is now available. Click here to access.